Webinar On-Demand: What we've learned from crawling our customers' data. We've crawled, classified and migrated hundreds of terabytes of data for our enterprise customers. Join us on our next webinar as we share what we've learned so far. Register today to get your copy of this great webinar! Organizations need to improve data quality and information architecture to power their transformational efforts. 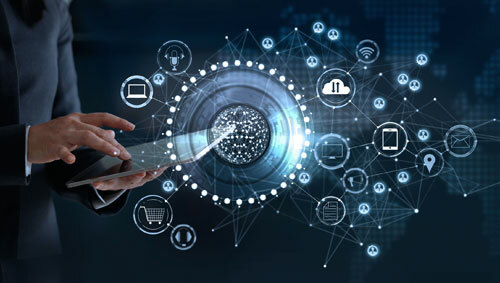 Artificial Intelligence and Machine Learning have proven effective tools to gain insight into enterprise documents and kick off the journey to automation. 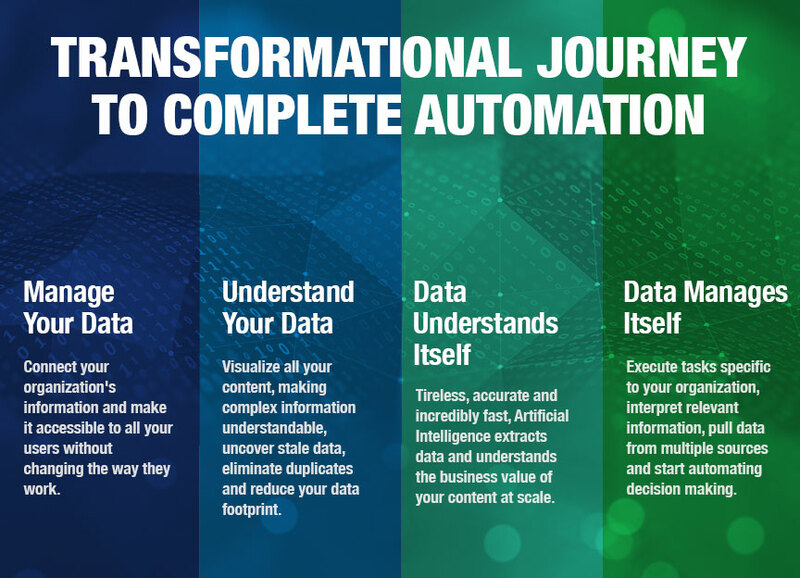 Delivering on the promise of digital transformation and driving business insight means getting your arms around all your data. 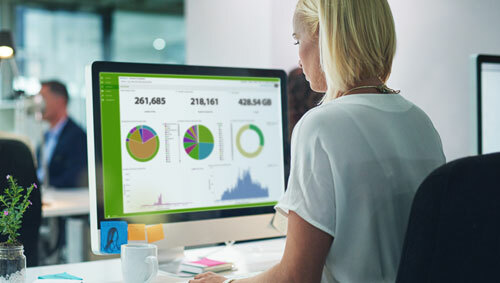 Connecting data sources without disrupting the day-to-day workflow of your employees will seamlessly drive insight from your enterprise content wherever it sits. Data visualizations make enterprise data coherent and offers up clarity. 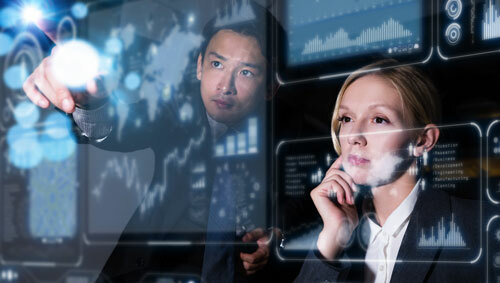 Uncovering data value, exposing vulnerabilities and eliminating redundant, obsolete and trivial documents are just some of the benefits organizations have realized, delivering a better understanding of the connections between data and business performance. Artificial Intelligence can understand the business value of your content at scale. Tireless, accurate and fast - AI automation saves thousands of hours in manual classification, migration and remediation, leaving knowledge workers free to work on more meaningful tasks.